The discussion featured up and coming companies such as Metromile, Scoop and HONK. Metromile generously opened its doors for the night and welcomed more than one hundred attendees into their new spacious and trendy office. The transportation industry, coupled with technology, is a hot topic and among the top most disruptive in the world, according to Tech Crunch. 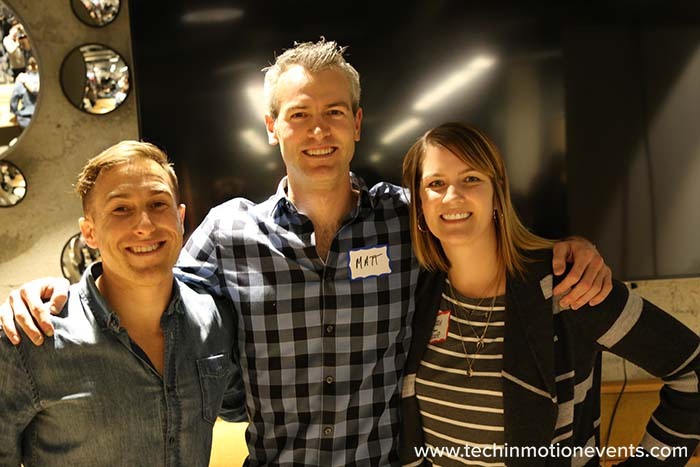 Stein, representing the pay-per-mile insurance startup Metromile said, “We focus on making things 'glanceable', very clear, and the last would be an acronym we refer to as D.E.A.F. - delightful, engaging and fun.” Read more about these 3 UI/UX principles you need to know at a startup here. For startup Scoop - an automated carpooling service - their main principles revolved around safety, user feedback regarding experiences using the service, and context, according to Rowe. 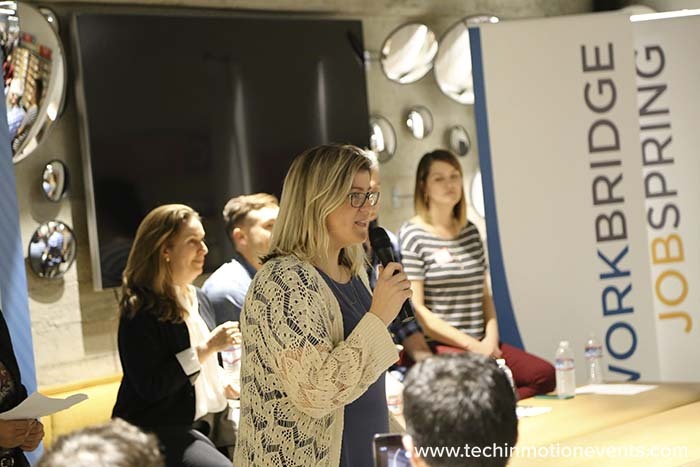 See more photos of the UI/UX event on Tech in Motion's Facebook page. 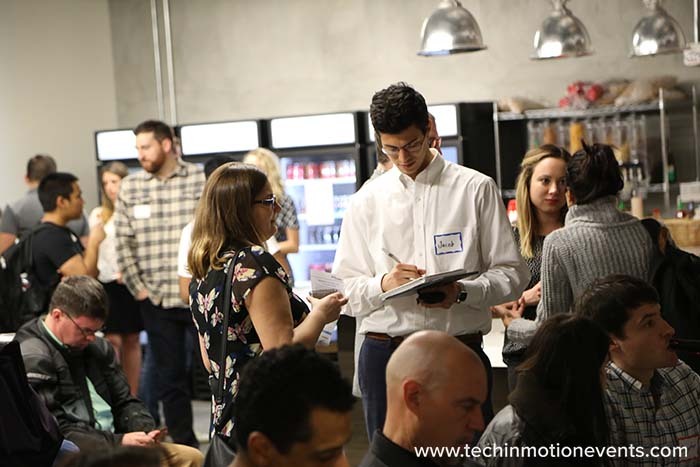 Overall, the tech talk was educational and insightful, and our Tech in Motion members certainly did not leave empty handed thanks to Metromile! Upon arrival, each attendee received a Metromile 'swag bag' filled with amazing and useful branded trinkets, including a Tech in Motion card holder for phones.